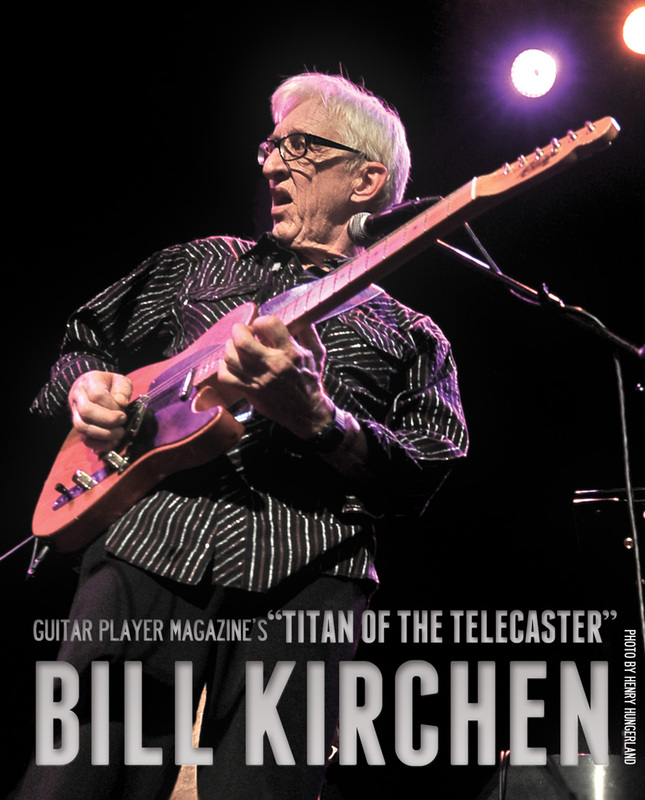 The celebrated Titan of the Telecaster, Bill Kirchen, will inaugurate the Ramsaysburg Homestead Riverside Amphitheater with a solo performance on Sunday, August 26 at 3:15pm. Mike Esposito, master of the resonator guitar, will perform at 2:30. 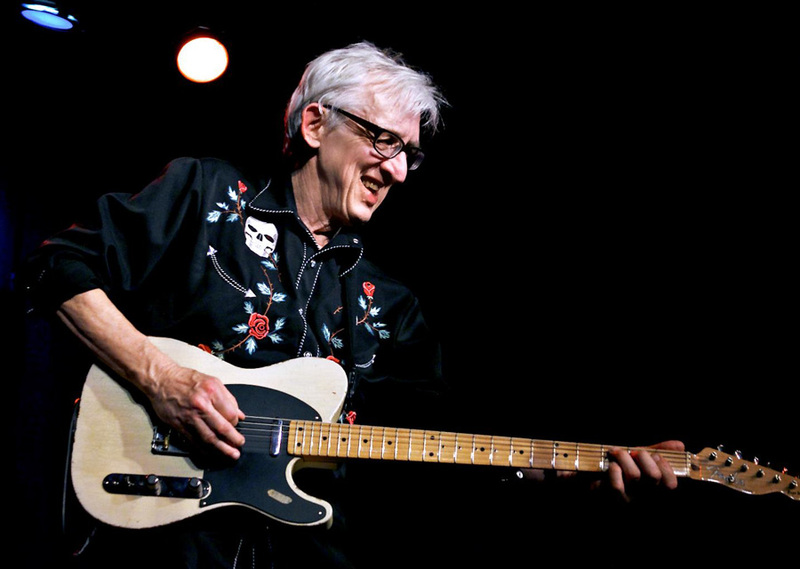 Bill Kirchen is no stranger to Knowlton Township, having performed at Riverfest six times! Grammy nominated guitarist, singer and songwriter Bill Kirchen first gained national recognition as a founding member of Commander Cody and his Lost Planet Airmen. His trademark guitar licks drove their Hot Rod Lincoln cut into the Top Ten in 1972. He has released ten CDs on his own, and recorded and/or played guitar live with a who’s who of Americana and Roots Rock ‘N’ Roll, among them Gene Vincent, Link Wray, Bo Diddley, Hazel Dickens, Doug Sahm, Hoyt Axton, Emmylou Harris, Maria Muldaur, Dan Hicks, Nick Lowe and Elvis Costello. Bill is an architect of what is now known as Roots Rock ‘n’ Roll and Americana, and still continues to be one of its most active proponents, playing, writing and performing throughout the world. Named a “Titan of the Telecaster” by Guitar Player Magazine, he celebrates a musical tradition that embraces rock ‘n’ roll, blues and bluegrass, Texas Western swing and California honky-tonk. In demand on the lecture circuit, he has spoken at the Smithsonian Institution in Washington, DC as part of the “Electrified, Amplified and Deified – The Electric Guitar” exhibition and at Rensselaer Polytechnic Institute in Troy, New York. He was interviewed on the national TV special “Yesterday and Today: Honky Tonk & Western Swing” at the Broken Spoke in Austin, TX, where he performed along with Hank Thompson, Doug Sahm, Don Walser and more. Bill was a keynote speaker at the International Conference on Elvis Presley in Memphis and currently finds time to lead workshops and instruct at Jorma Kaukonen’s Fur Peace Ranch and the Augusta Heritage Center. Justly famous for his indelible Telecaster sound, Bill Kirchen has been everywhere over the span of a 40-plus-year career: he was a founding member of the legendary Commander Cody and his Lost Planet Airmen; he released eight critically acclaimed solo albums; he toured internationally with Nick Lowe and has performed with Doug Sahm, Gene Vincent, Elvis Costello, Dan Hicks, Emmylou Harris, Bruce Hornsby and Link Wray. Now living in Austin Texas, Bill maintains his rigorous and far-reaching tour schedule and also teaches at Augusta Heritage Center, Centrum Voiceworks and Jorma Kaukonen’s Fur Peace Ranch. 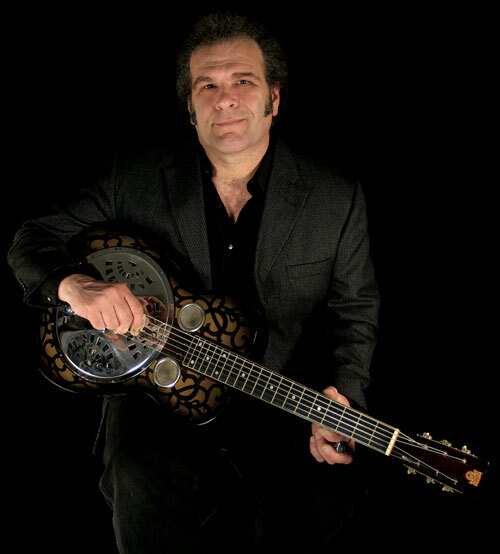 To many, Mike Esposito is one of the finest country/blues guitarists to be found anywhere, especially with his exquisite touch on the Dobro and National Steel resonator guitars. A New Jersey native and resident, Mike is unique in the world of American roots music; his live shows are a virtual panorama of this country’s musical tradition. It’s blues, it’s bluegrass, country, rhythm & blues, rock n’ roll, Appalachian folk, New Orleans jazz and even a little bebop for good measure. A virtuoso performer on bottleneck slide, Dobro, lap steel, acoustic and electric six-string guitar and even electric bass and ukulele, Mike could easily adopt a swaggering air of braggadocio, the blues man’s traditional stock in trade, yet he remains a humble man, quietly exuding confidence in his talent and abilities. With interest in American roots music at an all-time high, guitar ace Mike Esposito, as a solo act and with his band, is a unique and talented performer who will be impressing his loyal followers for years to come with feats of instrumental and vocal virtuosity. The new Riverside Amphitheater at Ramsaysburg. 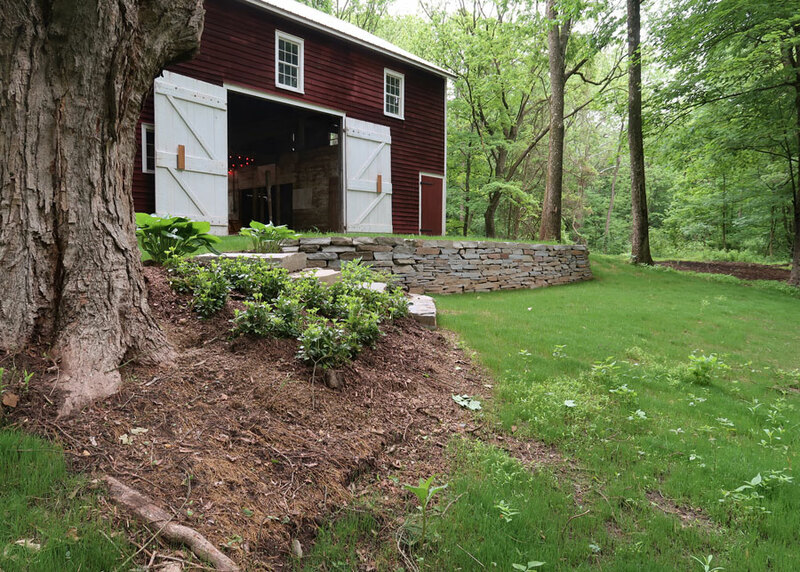 The Riverside Amphitheater is positioned under a canopy of trees between the historic barn and the Delaware River. It was recently developed by members of the Knowlton Township Historic Commission with help from Ramsaysburg Historic Homestead supporters. This beautiful setting is available for concerts, weddings and community events. The Sunday, August 26th concert with Bill Kirchen will debut the use of the Riverside Amphitheater.